The so-called Magdalene Laundries in Ireland have been the cause of so much suffering. For instance, they made the miserably mawkish film Philomena possible. They also provide a setting for satanic rituals in this period horror film, but let’s not get carried away with hyperbole. The black masses and possible sacrifice of the innocence are certainly bad, but they are not the affront to human decency that Philomena was. Of course, in 1960, Father Thomas Riley and his naïve assistant investigator Father John Thornton could not know that. Therefore, the infernal shenanigans they uncover will seem plenty horrifying in Aislinn Clarke’s The Devil’s Doorway (trailer here), which screens during this year’s FrightFest in the UK. Father Thomas and Father John have been dispatched to this particularly dreary Magdalene convent to investigate claims of a Virgin Mary statue crying tears of blood. However, Father Thomas is convinced they are wasting their time, because these supposed miracles always turn out to be hoaxes. His name is Thomas—get it? He still goes through the motions, with the less skeptical younger priest duly filming every step, on grainy, era-appropriate 16mm. As soon as they arrive, Father John starts hearing the eerie voices of children and catching glimpses of what seem to be apparitions out of the corner of his eye. Of course, Father Thomas does not want to hear about that sort of rot. He is too busy clashing with the sour-faced Mother Superior over her cruel treatment of the laundry women, but all bets are off when they discover a pregnant young woman chained up in the sub-basement displaying signs of physical abuse and demonic possession. This movie is scary as all get out. Partly it is due to the oppressive grimness of the creaky Magdalene convent. The spookily evocative 16mm stock is also a factor. It really looks like it could be the remnant of something awfully sinister. However, the film’s unabashedly Catholic themes and demonic tropes really get at something buried deep within our collective Jungian subconscious. No matter what you believe, the Church is the primary bulwark against Hellfire falling from the sky, so when it is this corrupted by evil, we’re all screwed. 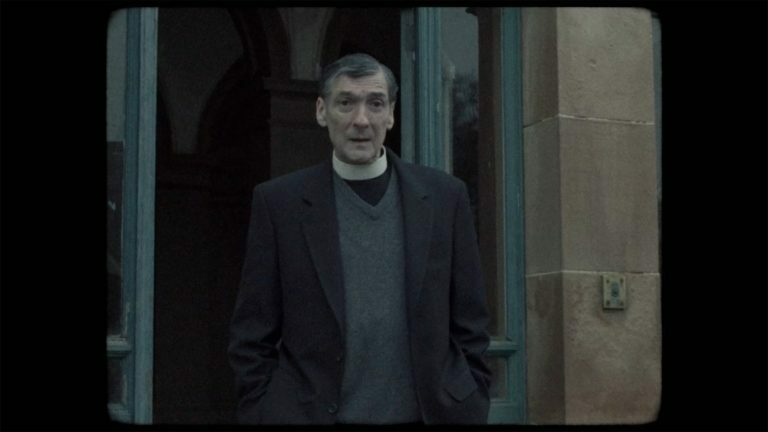 As an additional X-factor, veteran character actor Lalor Roddy might just give a career best performance as Father Thomas. It is an acutely human portrayal of man who is smart, vinegary, arrogant, and painfully self-aware of his own failings. If this performance were in “proper cinema,” people would be talking awards for Roddy, but alas, it comes in a found footage horror film, the lowest of the low. Helena Bereen also leaves an indelible mark as the despotic and despicable Mother Superior. When they go at it, it is like the verbal equivalent of bare-knuckles boxing. Cinematographer Ryan Kernaghan, production designer John Leslie, and their minions all deserve enormous credit for the film’s eerie look and vibe. Granted, the logic of the found footage conceit breaks down here and there, but that is a common and relatively minor sin of the subgenre (probably just a few Hail Marys ought to cover it). 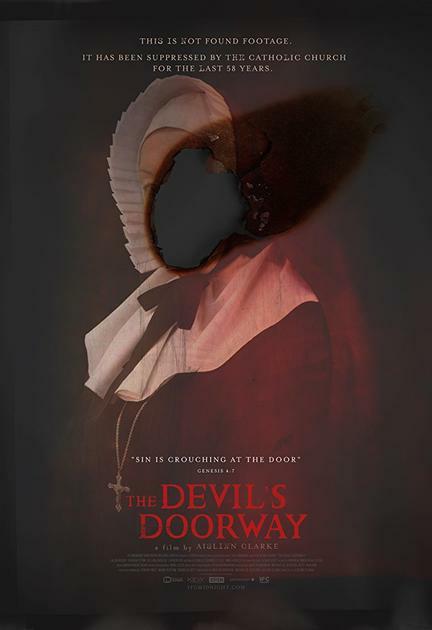 Very highly recommended for fans of demonic horror and found footage, The Devil’s Doorway screens today (8/25) as part of this year’s FrightFest UK.